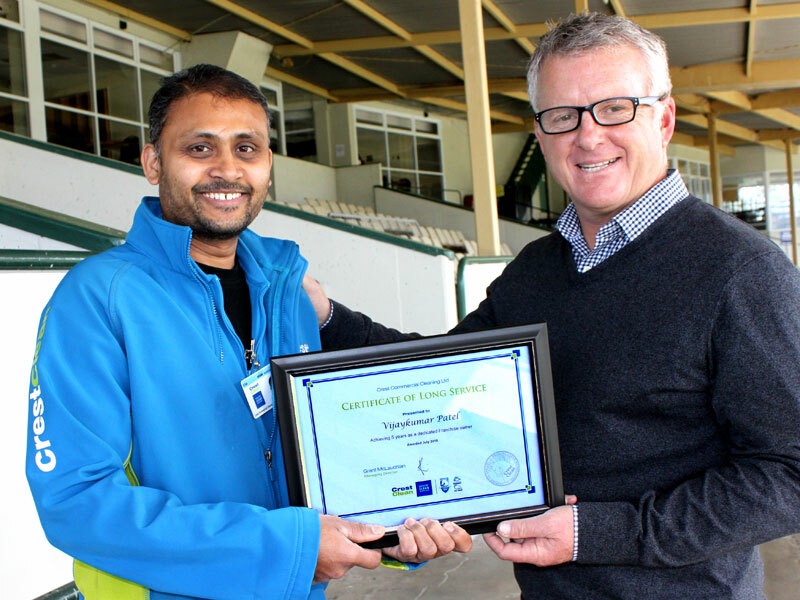 Vijaykumar Patel has been a CrestClean business owner for five years. CrestClean’s Managing Director heaped praise on the company’s local business owners at the annual team meeting in Rotorua. Grant McLauchlan said the company’s turnover has grown by 12.4 percent nationally in the past financial year and the Rotoura region had played an important part in that increase. “We’ve become a reputable and well-known brand in New Zealand,” he told the CrestClean franchise owners, who run thriving cleaning businesses in Rotorua, Whakatane and Taupo. 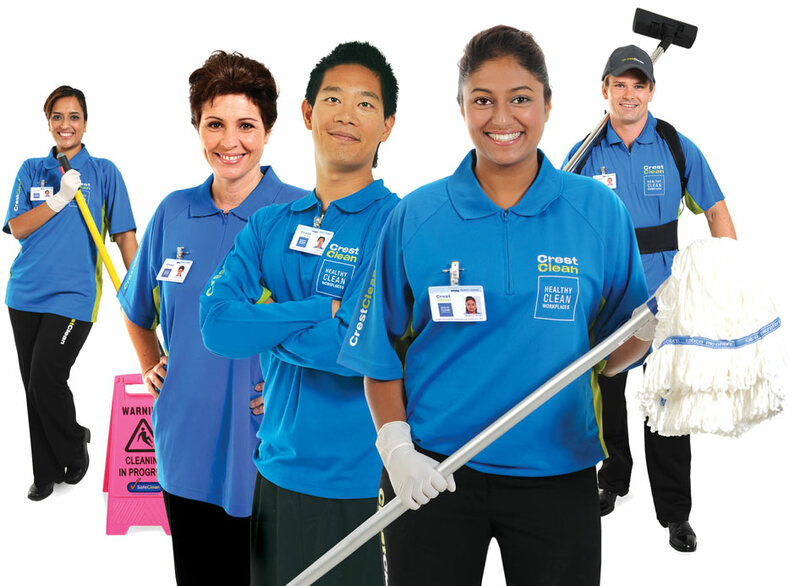 “Our high standards are what has made us one of the standout franchise systems in New Zealand and the cleaning industry,” Grant said. Many more franchisees were going full time with CrestClean and as a result were enjoying better lifestyles and seeing their income increase, he said. During the annual team meeting a number of awards and training certificates were given out. They included a Certificate of Long Service to Nancy Nadan and Kent Wilkinson, who have been with CrestClean for seven years. Regional Manager Bill Douglas said the Taupo couple were model business owners. “I can’t say enough about them. They are just great people and Kent is my main man in Taupo. Bill said having long serving personnel brings strength to the cleaning teams. “We have a great team spirit and everyone gets along well together. 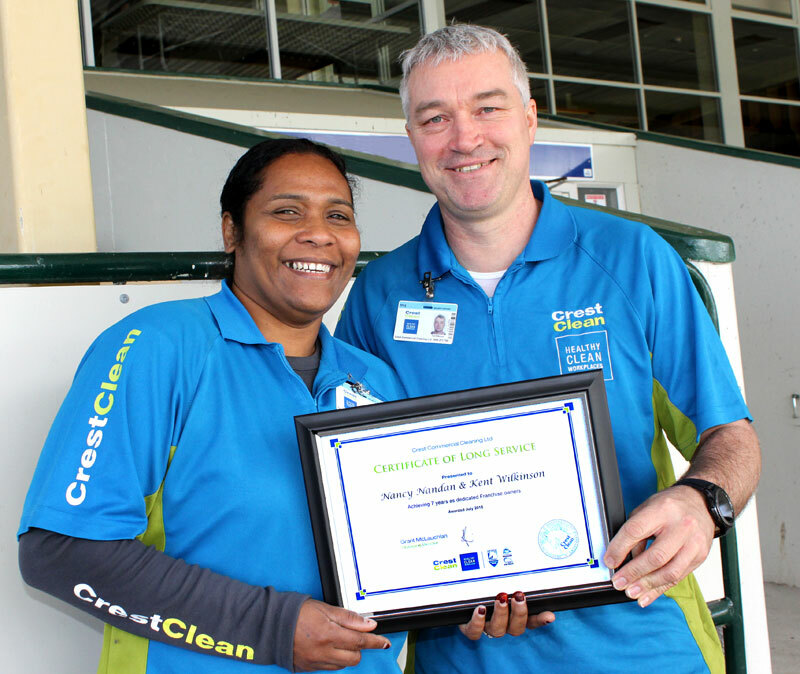 Nancy Nadan and Kent Wilkinson have been with CrestClean for seven years. 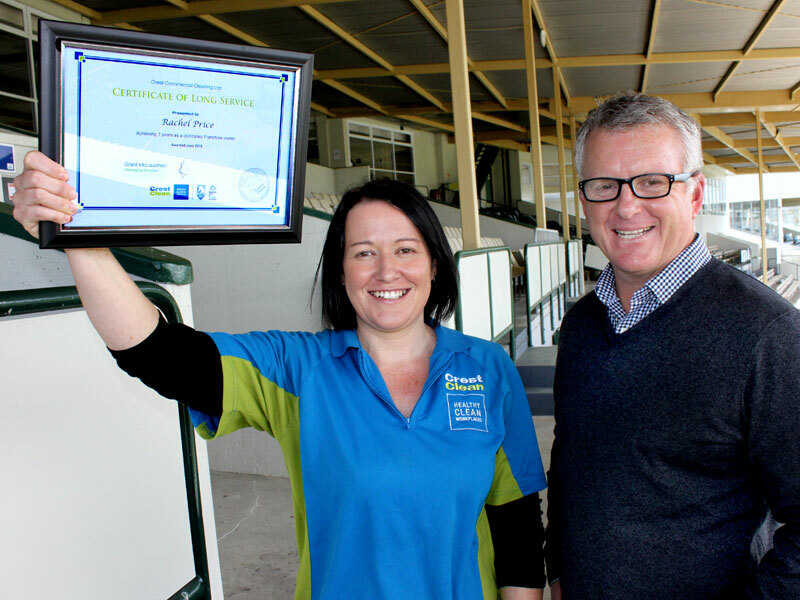 Rachel Price has been a CrestClean business owner for seven years. 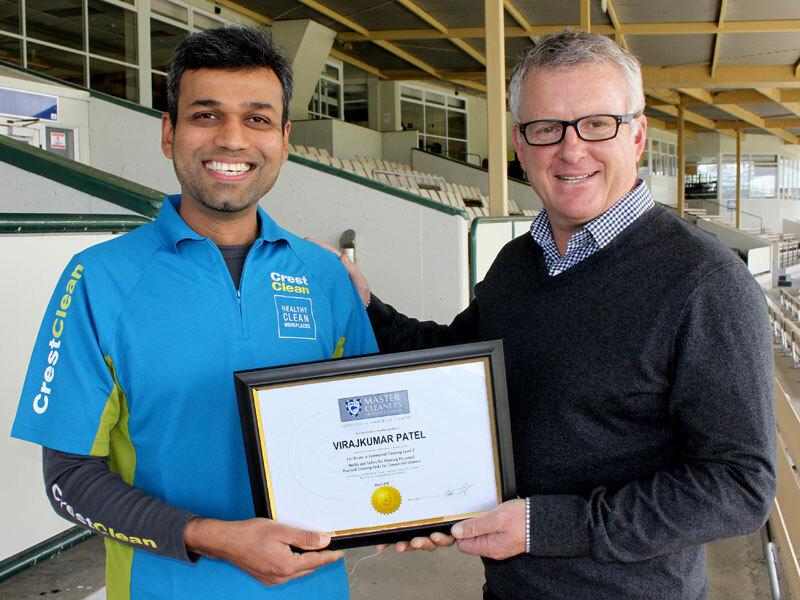 Virajkumar Patel receives a Certificate in Commercial Cleaning, Level 1, from Grant McLauchlan.